Dr. Ellis, Managing Director, is a board-certified physician with over 25 years of experience in real estate. As such, he brings with him valuable real estate experience, as well as credibility in local hospital-physician relationships and recruitment efforts. Dr. Ellis is devoted to cost-effective real estate development and understands through actual experience the complexities of hospital-physician relationships. Dr. Ellis is responsible for the relationship between MedDevelopment and the healthcare client, as well as all physician interactions including investment in the facility. He also remains actively involved in property management in order to assure that tenants have the opportunity to express their needs to a fellow physician. 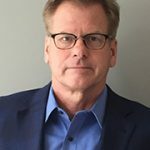 Dr. Ellis brings a unique perspective to these relationships and, due to his background, has been able to contribute significantly to the success of our projects. Dr. Ellis earned his BS and MD at the University of Kansas and has lectured extensively on current trends in healthcare real estate to a number of healthcare and business seminars.